Situated in the heart of the beautiful Exmoor National Park, the Exmoor Pony Centre is a small charity run business, owned by the Moorland Mousie Trust, working to promote and protect the endangered rare-breed Exmoor pony. Come and visit our wonderful ponies, most of which were taken into our care when they had nowhere else to go and have benefited from the attention given by our devoted team of staff and volunteers. We can offer you the opportunity of getting close to an Exmoor Pony and pre-booked riding activities at the Centre or across the moors. Donations, adopting a pony, joining our 100 club, volunteering or holding a fundraiser are just some of the ways you can help support us. We receive no government funding and are grateful for every bit of help you can give towards the future of our native ponies. Our Next Activity is on May 30th. Please visit the Events page for more info. 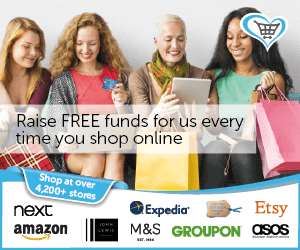 The Moorland Mousie Trust is one of the registered charities with Give as you Live giving you the opportunity to purchase items from 4,000 shops and donating to us without it costing you a penny. To start your shopping experience just click on the image below. Happy Shopping! and Thank You from the ponies.